The Government has instructed corresponding administrative authorities to aim for a 0.5 percent decrease in lending interest rates from now until the end of 2017, while keeping taxes, fees and other charges unchanged, in order to propel the current disbursement rate in public spending and boost businesses’ productivity. Under Resolution 84/NQ-CP issued last week, Prime Minister Nguyen Xuan Phuc signed the request for the State Bank of Vietnam (SBV) to take the initiative in monitoring the money supply and general monetary policy to suit the actuality of the country’s macroeconomic flows based on inflation rates and the money market. At present, the PM has asked the SBV to strive for both a 0.5 percent interest rate reduction and a 21 to 22 percent annual credit growth rate for 2017. Simultaneously, the Ministry of Planning and Investment (MPI), Ministry of Finance (MoF), and other central and local departments or agencies will shift their focus to accelerating the disbursement rates for public investment, as stated in Resolution 70/NQ-CP. If these changes can be implemented, the country should be looking at a much better fourth quarter result for 2017, including the annual goal of 6.7 percent GDP growth. Additionally, all taxes, fees and charges should remain unchanged in 2017 to encourage exports and production, in the hope of achieving economic growth consistent with the domestic market. In the last four months of 2017, increases in the disbursement of public spending on projects, including from official development assistance and the State budget, should play a significant role in helping economic sectors reach their year on year growth goals of 3.05 percent for the agriculture sector, 7.91 for industrial production, and 7.19 percent for tourism and services. In the first eight months of 2017, the MoF has reported a total of 137 trillion VND (6.1 billion USD) in State budget disbursement for public projects, amounting to 38.4 percent of the yearly plan for public investment as approved by the National Assembly, in comparison with 2016’s 39 percent over the same period. On the other hand, the money and credit market has been stable, with credit rates marking a year on year increase of 10.06 percent as of the end of August. As the SBV is in charge of keeping lending rates low to encourage borrowing from businesses and other economic sectors, the MoF must take the lead in implementing support policies to monitor the State budget, guarding against misspending, promoting saving across all sectors and strictly following the Government’s regulations on financial and budget management. The MoF has in turn asked local authorities to help reduce business related costs, and analyse the impact of an increase in value added tax on the general economy. The Government also requested the MPI and the MoF to work with the Ministry of Transport on mobilising investment towards strategic public traffic infrastructure projects, helping speed up disbursement on the North-South highway project, as well as the national railway construction project and the Long Thanh airport project in HCM City. 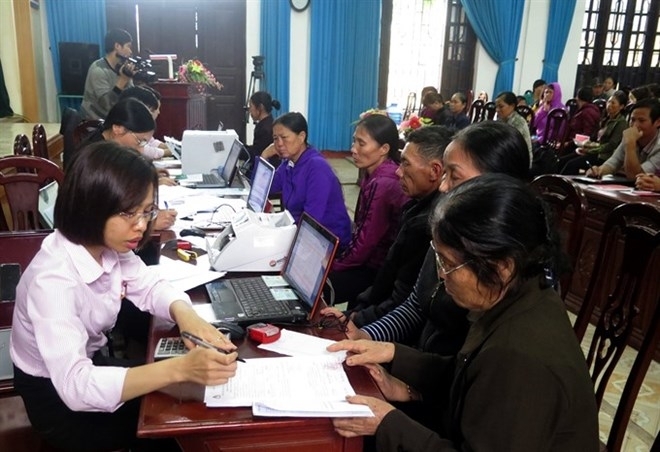 Phuc also required the SBV to increase monitoring, inspection and dealing with any breaches in the credit sector, especially when it comes to the financial branch’s system security.